Anchor: Three bloggers have been detained on allegations they used a computer program to rig the number of "likes" for online comments critical of the government on online portals. It was found that the three accused were members of the ruling Democratic Party(DP) and that one of them had close contact with DP lawmaker Kim Kyoung-soo on social networking sites. Report: Police have detained three bloggers on charges of rigging the number of "likes" for online comments critical of the government on online portals such as Naver. 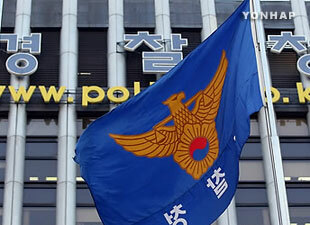 The Seoul Metropolitan Police Agency's cyber investigation division said on Friday that it detained three people, including one surnamed Kim, and forwarded the case to the prosecution. Police found that the bloggers were members of the ruling Democratic Party and regularly paid membership fees to the party. They are accused of using a computer program to increase the number of "likes" for online comments critical of the government's decision in January to send a joint inter-Korean ice hockey team to the PyeongChang Winter Olympics. Police said the bloggers met on a liberal-leaning online forum and testified that they rigged the comments in order to make it appear as if it was done by conservative groups. After confiscating Kim’s phone and analyzing his SNS activities under the handle “druking,” police found that he had considerable contact with DP lawmaker Kim Kyoung-soo. Regarding media reports that the pair exchanged hundreds of messages via the encrypted messaging app Telegram around the time of the presidential election last year, police said Monday that the lawmaker merely appears to have received the messages without checking most of them. Following the election, the 48-year-old blogger asked for help getting jobs for members of his online forum as consul-general in Osaka and at the presidential office. 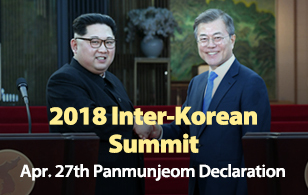 In a hastily arranged news conference on Saturday, Rep. Kim, who is a close associate of President Moon Jae-in, said he knows the blogger but denied any involvement in the rigging scandal. He said he came to know the blogger on the campaign trail as a passionate supporter, however, he said he cut off ties after being asked for unreasonable favors. Rep. Kim said he suspects that the three people in question committed the alleged rigging in retaliation for his refusal to grant special favors. Police also plan to find out if the blogger attempted to manipulate public opinion during the presidential election. Two others are also being questioned in relation to the rigging.